I Love Vegan Cupcakes Take over the World. 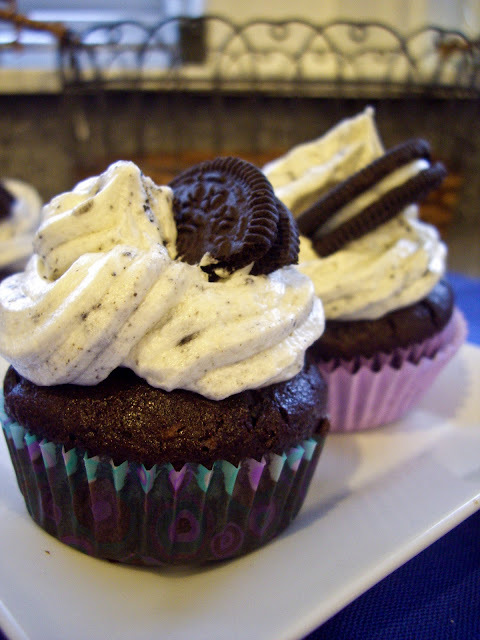 Go forth, buy, and make COOKIES AND CREAM cupcakes for a charity, have them sell out before everything else and shock everyone when you say they're vegan. OMG. That is all I can say, these look amazing. I love Oreo's so much I can't have then in the house! Aren't you pumped for the pie book? I pre-ordered. I feel like there should be a button or a sticker for the pre-order! Those look perfect, I love that recipe although I have to make it with different biscuits because Oreo's aren't vegan in England! VCTOTW is one of my favourite cookbooks and cookie and cream cupcakes always sell well at our bake sales.